So I changed my style from the other 2. 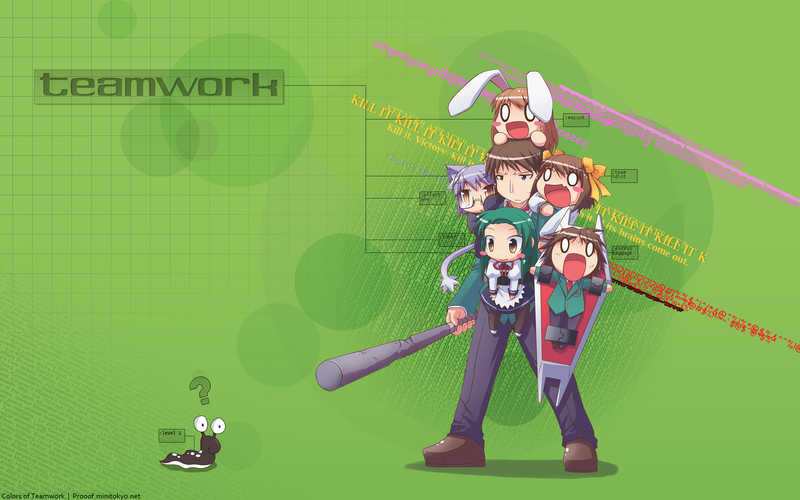 This will also probably be the last Haruhi Suzumiya wall in this series. My attempt at a satirical wallpaper. Full view it so you can see the text and other details. Everything is done in Photoshop, except slug in Illustrator. Characters extracted from image I found on 4chan. Browse The Melancholy of Suzumiya Haruhi Gallery: Recent | Popular. Oh my gosh I love this, it looks awesome and I love how you did the text around them and how you positioned it and the colors you used for them. I also love the fading text behind them its so creative and really helps draw your attention to them. I love the text to it it so fits with the theme and I still love the text in this. Its so creative I love it..*smiles*. i think this made myday. that's right! use koizumi a shield, he can take it! haha, so cute ^^ great job!